Suicide is one of the leading causes of death among teens. 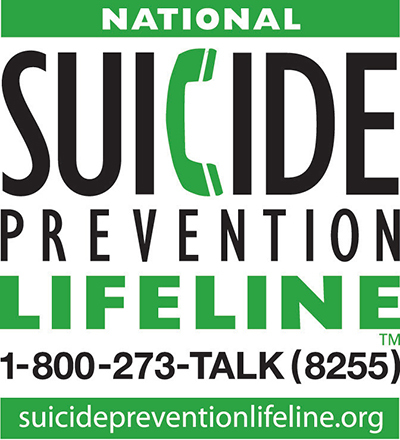 If you or someone you know is considering suicide or showing any of the warning signs, get help NOW by calling 911. If you are a young person and have thought of hurting yourself, TXT 4 HELP can provide support and connect you with someone who cares and can help. Text the word SAFE and your location to 4HELP (44357). You’ll receive a response with the address of the nearest Safe Place®. You will then have the option to immediately text or call to speak one-on-one with a counselor. TXT 4 HELP is free and confidential. Learn more about TXT 4 HELP by visiting https://www.nationalsafeplace.org/txt-4-help. Be the one to ask. Be the one to keep them safe. Be the one to be there. Be the one to help them connect. Be the one to follow-up. Learn how to #BeThe1To make a difference at www.suicidepreventionlifeline.org/participate.